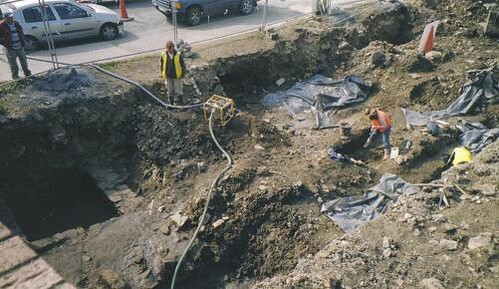 In April 2005, the area around Sir Harry’s Mall near Baal’s Bridge was being excavated following the construction of The Abbey Bridge and redevelopment of Sheep Street. 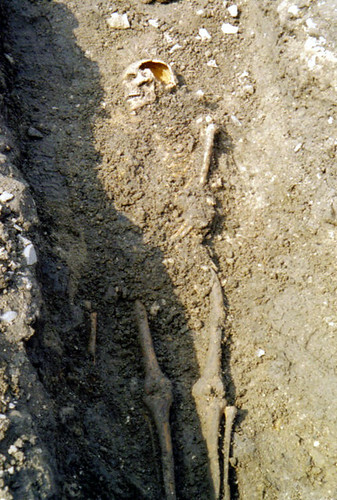 During the excavation the remains of 96 individuals who where buried in an previously unknown cemetery outside the old city wall were discovered. 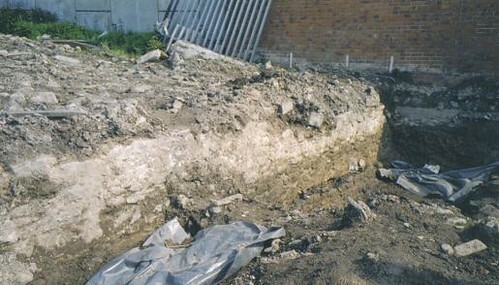 The dig was performed by Aegis Archaeology Ltd. 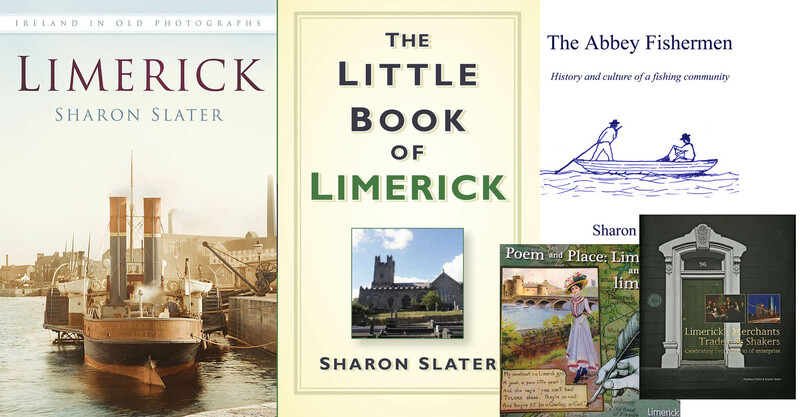 This cemetery, which was located just outside the medieval town of Limerick, was most likely in use between the 15th-18th centuries. 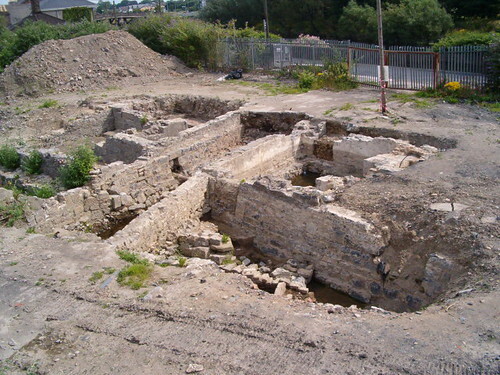 The excavations were confined between the medieval Town Wall which ran east to west along the north of the site and a later quay wall running parallel at the south. The cemetery was consistent with that of a cholera cemetery. Those affected by this tragedy were buried away from the rest of the community. I was lucky enough to be in the area at the time of the dig and had my camera on me. As it was an archaeological dig site I could only get photographs of the over view of the dig, until one of those working on the dig kindly took my camera and took the close up photographs of the skeletal remains as well as the old walls. 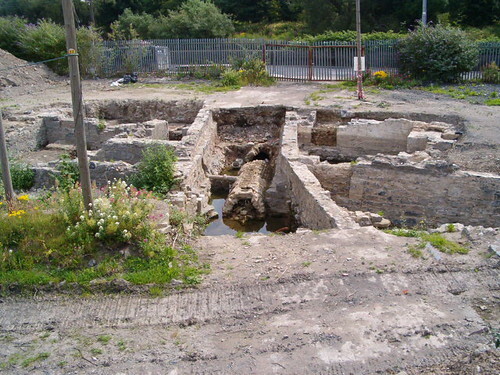 The following photos were taken from different angles and areas of the dig on the left of the Abbey Bridge. Close up of the Old Wall. 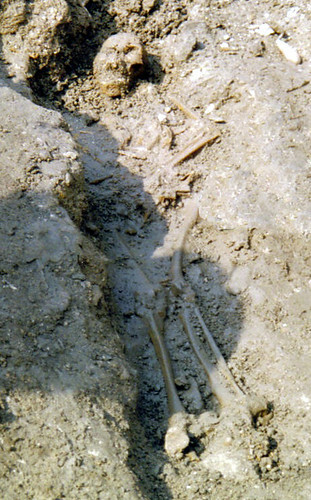 Remains of two adult skeletons buried in the cemetery. Below is from the other side of the Abbey Bridge, the old sewerage drain as well as housing walls can be seen. View of Old Sewer under what would have been housing in the area. View of Old Hosing Walls on the right hand side of Abbey Bridge. The site of the old cemetery (left of the Abbey Bridge, right of Baals Bridge) is now Gaelcholaiste Luimnigh, an all Irish Secondary School. The housing remains on the other side of the Abbey Bridge is now the site of the Absolute Hotel.